Life Andros project, which is realized by the Municipality of Andros with the contribution of the LIFE financial instrument of the European Union, has a series of actions for the surveillance of protected areas of Andros island. 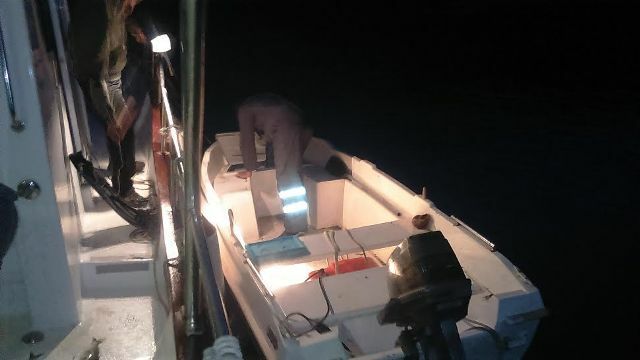 As part of these actions, the project’s boat and team members participated in an overnight operation with Andros Port Authorities against a case of illegal fishing. In particular, late at night on Saturday the 4th of June 2016, a small boat was detected in a remote area of the island. The boat was carrying people who were snorkeling with underwater lighting. There followed an operation for capturing the boat both from land with cars and from sea with Life project’s boat. After several hours of searching, the project’s boat was able to find the motorized plastic boat, abandoned and without any identification, in an isolated cove, 700 meters north of Plaka beach. 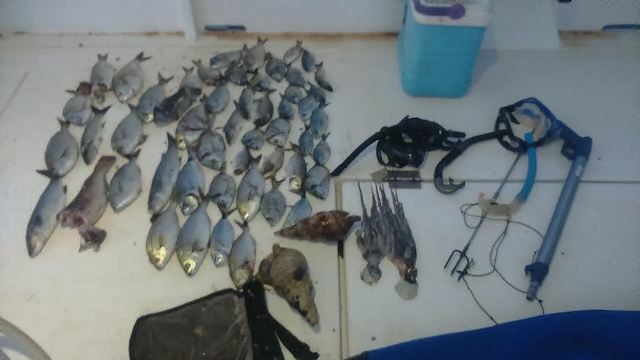 The Port Authorities found in the boat a spear gun, a system of underwater lighting, diving suits and masks, catch collection bags, a refrigerator and 52 fishes. The operation was coordinated by the Port Authorities of Andros and Life project’s participation was part of the actions that the project is supposed to undertake for the surveillance of protected areas of the island and the cooperation with all competent authorities for detecting and preventing illegal activities. Life project realizes a wide and detailed surveillance program for all protected areas of Andros island, both on land and sea, in cooperation with all competent authorities, aiming in a gradual transition towards a permanent system for the management and control of these areas. Find attached photographs from the operations. 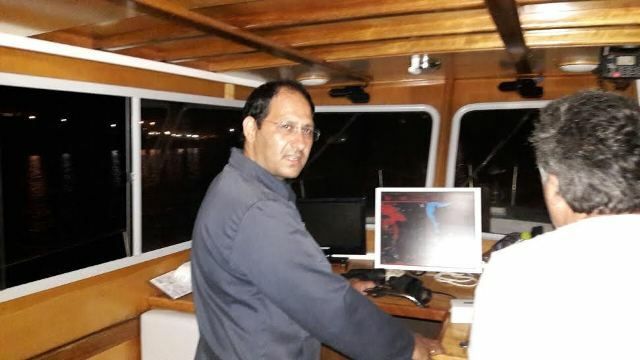 In the photographs you can see the lieutenant commander Mr. Christos Nanos and the head of Life project, Mr. Isidoros Nikolaou, as well as some of the findings.